As a family owned and operated business with over 25 years’ experience in the industry, Oz Propellers can complement your marine needs with an excellent range of boat propellers. For your complete peace of mind and quality assurance, we stock excellent quality and performing props, for trusted brands like Yamaha and Suzuki. Built for seamless compatibility with any engine manufactures, you’ll also be glad to know that our boat propellers come with an affordable price tag. Whether you’re after an upgraded stainless steel outboard propeller or an aluminium prop to replace your old one, you’ll find all you need with us. Shop online and enjoy delivery to Hobart, Tasmania and right across Australia and beyond today! We’re dedicated to your utmost satisfaction, so if you find an identical product elsewhere with a cheaper price, be sure to let us know and we’ll beat it! 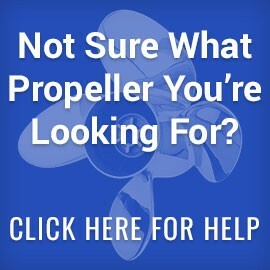 Explore the waters of Hobart and Tasmania with premium quality boat propellers from the experts at Oz Propellers.